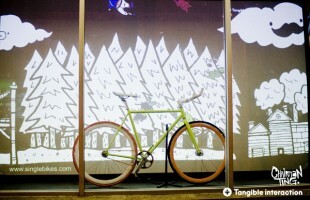 An animated video projection on the window of the Single Bikes store based in Vancouver, Canada. The illustration and artwork is done by Chairman Ting. The animation and production is done by Tangible Interaction.